Once known as Google Webmaster Tools, the Google Search Console has changed a lot over the years. Google is famous for its rapid-fire changes and updates, and Search Console is no different. If you’re using Google Analytics and other Google properties, Search Console is a must-have. This free tool helps you improve your website’s UX, SEO, and can even improve your conversion rates. In the hands of a skilled SEO pro or webmaster, Search Console has the power to transform and protect your online image. Stay relevant to your audience and get in Google’s good graces with this tool. The big hiccup is that Google recently announced that it’s overhauling Search Console. The future is a little uncertain as Google is using all of 2019 as a testing ground for Search Console. What’s clear is that brands need to know what’s going away, what’s staying the same, and what’s changing to put Search Console to good use. Google’s using 2019 to review every Search Console feature. If you were used to the old platform, some of your favorite features might be missing or transformed into a new tool entirely. The good news is that Google is making these upgrades to give you more relevant data about your site. While change can be a little jarring, it’s much-needed for the previously dated Search Console. However, keep in mind that Google acknowledges Search Console isn’t perfect right now. They state that not all functionality is available yet, that the mobile experience still isn’t right, Android apps aren’t supported yet, and property sets aren’t supported yet. Updates will continue to come out from Google over the course of 2019, after which it will phase out the old Search Console entirely. 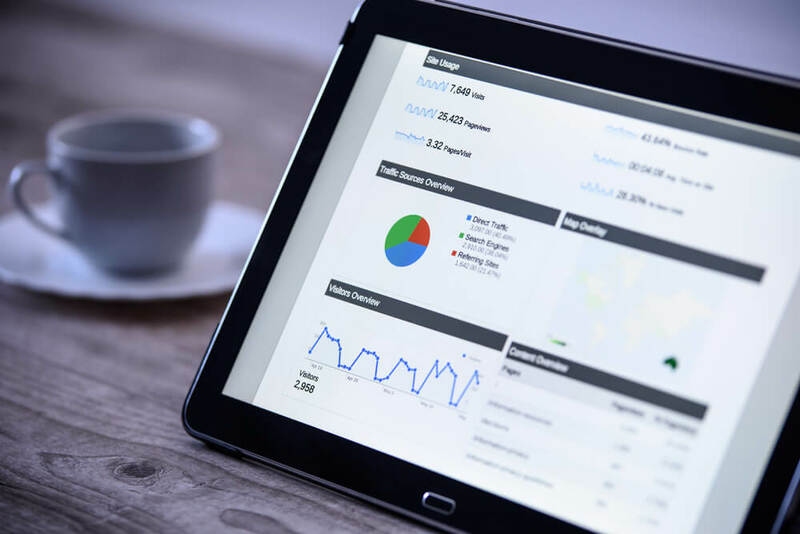 Acquaint yourself with the new Search Console to stay ahead of the game and enjoy all the tool has to offer for your brand. This is what everybody wants to know: are my favorite features disappearing? While Google is eliminating a trove of old features, keep in mind that some things are staying the same and others have been transformed into new features. Google says these features are currently not included in Search Console. There’s the chance they’ll add these back in later, but they’re staying hush-hush about the details for now. If you’re missing out on your favorite features, don’t worry. Many will be added back into Search Console. Some have reappeared elsewhere as a new, improved solution. It’s worth mentioning that some aspects of Search Console have remained the same after the update. The only change has been a facelift to the interface itself. If you use these features regularly, fear not. Google is still keeping them in the new version of Search Console. Google is making other big changes. For example, Search Console as a whole will now display a whopping 16 months of data. Previously, it only displayed three months of data. Here’s a list of what Google has changed. Most of its features are the same, although now it will display 16 months’ worth of data instead of three. Individual Enhancement reports give you more granular data so you can debug individual URLs. You can even crawl a URL after you do a fix to see if the problem is resolved. You can look at both external and internal links on your site in one place. This functions like the old report, but now it also shows any crawl errors that happen on Google’s side. This is a big win for websites because Google previously didn’t make this information very accessible. This is a fantastic update that you’ll love: you can now test a sitemap on Search Console without actually submitting it. This allows you to fix errors before officially submitting a sitemap to Google. AMP Status lets you reindex any pages that you’ve fixed. You can watch Google index a live version of a particular URL in your Search Console dashboard. You can also see if anything is blocking your crawl and if Google has already indexed a certain page. This was one of the bigger updates to Search Console. Instead of listing every URL on your site, you can group URLs together by the error Google encounters on your site. For example, the Index Coverage report shows crawl errors as a whole across your entire site. You can use the URL Inspection tool to see the errors for each, individual URL. According to Google, this is to prevent the tool from being a “laundry list of errors” and an actionable, useful tool for fixing the errors. The Index Coverage report will display server errors, 404s, access denied, not found, or any other anomalies Google encounters during a crawl. Similarly to the Index Coverage report, Google created the Rich Results test for single URLs. The Rich Results report pulls general, site-wide data. This is great for identifying trends as a whole, and then working on URLs on an individual basis. Search Console allows you to see which resources are blocked from crawling on a URL-specific basis. The old Search Console as we know it will be gone by the end of 2019. Don’t let the phase-out catch you by surprise. Although Google is making constant improvements throughout the rest of the year, it’s still worth exploring the beta version of the new Search Console. In fact, it’s really beneficial for you to use Search Console now rather than later. If you encounter any bugs or miss particular features, let Google know. They thrive on feedback and might just add a new feature because of you. Change can be hard. Ultimately, though, the Search Console update is good news for your brand. Pull better data for an enhanced view of your site’s SEO and UX. Switch to the new Search Console that’s designed for modern marketing. Need a little help navigating these changes? The world of analytics, SEO, and marketing can be overwhelming. Partner with Logical Media Group to navigate Google updates, Amazon advertising, and everything in between. Let’s chat about your brand now.